It looks like nothing is going on Sony’s way. First they experienced down time in their laptop department (named VAIO) and now the same is happening in smartphone one too. No matter how hard they try, they aren’t keeping the pace right. Following the same bad luck, the upcoming Xperia Z4 has been leaked again. This is going to be 2015 flagship from the brand and it should have been kept under prime security. But since it isn’t the case, the device is hardly any surprise. Sony can now release the phone without a press event and I will be fine with that (no surprise). The fresh leak came from an unofficial Sony Georgia Facebook page, sharing an image of the device which looks like was ready for the press render. Now, it is pretty clear that how the upcoming flagship will look like. No doubt, there aren’t any big changes in design, which is already pretty good. But, now we have an all new HTC One M9, Samsung Galaxy S6 and not to forget, upcoming LG G4. All three devices looks great and so does Xperia Z4 has to, otherwise it may become a worst year for Sony. The device is still carrying a little bit of bezels on the side while much larger on top and bottom, compared to latest trend going in the market. With those bezels around, the device will stand taller than of its competition for sure. For a moment, I was thinking of removing the ‘unofficial’ word from the top, but let’s face it. 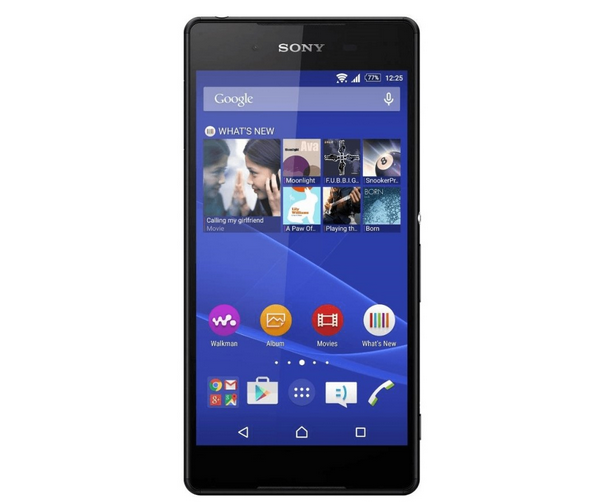 Following is the upcoming specifications with 2015 flagship Xperia Z4. With all such specifications, the phone looks killer. If the RAM storage comes out to be 4GB in real, then it will be the second smartphone with that (first one is Asus ZenFone 2). Also, the Quick Charge will be there, just like Galaxy S6. But, the device still lacks a unique and attractive feature that will work like a marketing boom. Maybe, Sony is trying something unique with its Xperia Z4 Ultra, which is definitely in the factory but not have been leaked much so far.